Unlike most companies, A Time 2 Ride does not restrict you to scheduled rides where you have to fit into our schedule. Instead, we customize motorcycle rides (single day) and tours (multi-day) especially for you. Just let us know the type of ride/tour that you would like and we’ll plan it all to provide the best possible trip. We can customize everything for you, or you can start from one of our example motorcycle rides or motorcycle tours. Exploring Colorado’s Front Range is the ultimate motorcycle rider’s dream. As part of your custom ride, include destinations such as Mount Evans, Estes Park, Rocky Mountain National Park, Central City, Grand Lake, and many more. Just let us know your favorite types of scenery and entertainment, so we can advise you on the best places to include. Want to include gambling, a distillery tour, a brewery tour, a mine tour, a spa visit, etc? Not a problem. Let us know your preferences and we can include custom options to suit you. Unlike, many companies, our bespoke rides and tours are not scheduled in advance for specific dates. Looking for a midweek day ride? Need something for the weekend? Want to spend a week cruising through the experiencing the beauty of the Colorado scenery. Just contact us with your dates and requirements and we will do our best to fit into your schedule. 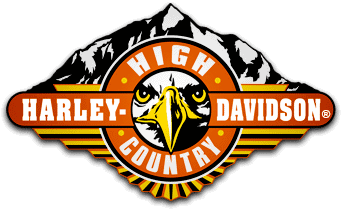 It is true that 95% of our riders want to be on a Harley Davidson as they cruise along the mountain roads and admire the breathtaking scenery. However, if you prefer to ride something else, just let us know and we can arrange it for you. The majority of our riders want to experience the majesty of the Front Range on the open roads that wind through the mountain passes. However, if you prefer something different, such as an off-road experience, we have incredibly talented dirt guides. With some companies, your “custom tour” is simply a GPS route (not very custom) and you are on your own. With A Time 2 Ride every ride or tour includes one, or more, of our experienced, professional Tour Guides. We handle everything. All your motorcycle rental arrangements, including helmet and gear is taken care of by A Time 2 Ride. Just sign the rental agreement and we’re off. For multi-day tours, we will arrange all of the accommodation in advance, so you don’t need to worry about anything. Based on your preferences we will recommend the best places to stay. Need something extra, such as airport pickup and/or drop-off? You’ve come to the right place. At A Time 2 Ride customer satisfaction is our top priority. Our custom rides and tours can include any necessary special arrangements to maximize your enjoyment. We have the equipment and experience to ensure that your motorcycle trip is memorable and safe. Depending on the group size, ride length, and other requirements, we will include one or more professional tour scouts, perhaps a support vehicle that can also carry any luggage, bottled water and snacks, maps, sun screen, first aid gear and medical knowledge – everything to ensure your trip is a success.